Tractive MOTION tracks your pet's activity 24 hours a day. 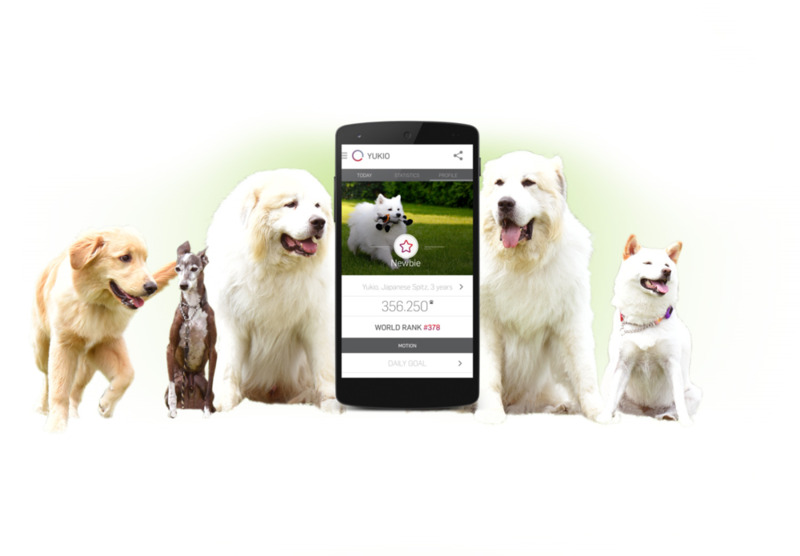 Simply attach Tractive MOTION to your pet's collar and get the data directly on your smartphone. Therefore a Bluetooth Smart Ready mobile device is required. Tractive MOTION is a very small and light activity tracking device. Tractive MOTION works with free Apps for iPhone, Android & Windows Phone. Get detailed statistics about your pet's activity and set daily goals! GET A BIT MORE INFORMATION ABOUT YOUR PET ! Set a daily goal of Pet-Points to keep your pet active and healthy. The progress towards the goal can be checked directly on Tractive MOTION. Get detailed information about the time your pet is lazy, moderately active or high active. Get insights of your pet's average monthly activity and compare it's monthly activities. You will soon understand the correlations between your pet's activity and external influences like temperature or daylight. AN ACTIVE PET IS A HEALTHY PET ! See the progress towards your daily goal and get informed when your pet is far away from reaching it. Of course, you also get notified when the goal is reached. Tractive MOTION promotes healthy and active pets with achievements. Get badges for reached Pet Points, being the most active pet, being best of breed etc. Be among the best pets in the worldwide pet activity highscore. You are proud of your four legged friend for reaching his goal or earning a new badge? Share your happiness with your friends! Tractive MOTION not only gatheres information about your pets movements, it includes several great features. 15 mm x 50 mm x 9 mm. Through the integrated high resolution display you can easily see the collected Pet Points for the day and check the progress towards the daily goal. Tractive MOTION wirelessly syncs its collected data to your smartphone. Your pet loves to swim? No problem - Tractive MOTION is 100 % waterproof. You can test the compability by downloading the free app!